Dan Lurie has arranged for his first Hall of Fame awards in 27-years! Read on to see who will be inducted into the who's who of bodybuilding and fitness. Names include Sergio Oliva, Charles Atlas, and more! Dan Lurie has done it again. After a long retirement from bodybuilding promotion, Dan has arranged for his first WBBG (World Body Building Guild) Hall of Fame awards in 27-years, what could be the biggest ensemble of legendary bodybuilding stars ever seen under one roof. From 1965 through to 1988, Dan was a regular fixture on the bodybuilding scene, one of the main players in the burgeoning bodybuilding and fitness industry with his Magazine Muscle Training Illustrated - established in 1965 - and his bodybuilding federation, the WBBG - started in 1967. His WBBG contests, which included the Pro Mr. America, USA and World, Mr. Olympus, Mr. Galaxy, Mr. North America and Mr. International, were contested by bodybuilding&apos;s biggest stars and his reputation as a promoter and former champion himself, preceded him wherever he went. When he began promoting his very first contests back in the late 1940s, Dan quickly realized he had an aptitude for getting the biggest names to compete in his shows. After a hiatus from promotion - television duties called - Dan re-entered the fray in 1967 staging his first event, the Pro Mr. America, won by the great Harold Poole, who would also win this title in &apos;68. And the top talent Dan managed to attract did not end with big Harold. 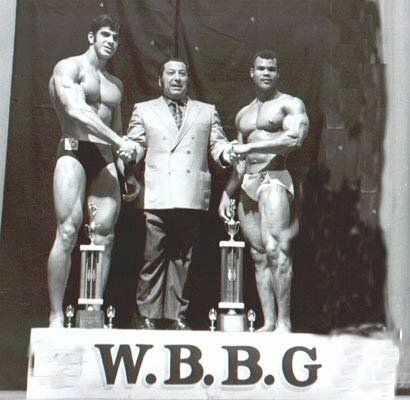 Between &apos;67 and 1980, the WBBG attracted immortals such as Sergio Oliva, Boyer Coe, Chris Dickerson, Serge Nubret and Warren Frederick. Early on, Dan noted a lack of recognition given the top champions of the day and set about changing that. In 1965 his inaugural Hall of Fame event honored Sigmund Klein, a man Dan went toe to toe with as a competitor in 1946. Subsequent years would see him induct into what would become the WBBG International Fitness and Sports Hall of Fame, politicians, actors and fitness and bodybuilding icons who best represented the ideals of fitness for health and well being. Politicians Ronald Reagan, Prince Ranier of Monte Carlo and New York mayors, Abe Beame and Ed Koch, actors Burt Reynolds, Johnny Weissmuller, Buster Crabbe, Mae West, Sylvester Stallone and Clint Eastwood, wrestlers Superstar Bill Graham and Ivan Putski and bodybuilders Reg Park, Steve Reeves, Sergio Oliva and Chet Yorton are among the many Dan has honored. Since his retirement, Dan has maintained an active interest in bodybuilding and has stayed informed on all the sport&apos;s major events. Now, at age 84, he will once again contribute to its history with his re-birthing of the WBBG, the Hall of Fame and Muscle Training Illustrated magazine along with a book on his life to be published in 2008 and a bodybuilding newspaper, the Muscle Training Newspaper, out now. He will kick things off with the Hall of Fame awards, in conjunction with the WBBG North America Bodybuilding and Figure and Fitness Championships, to be held in South Portland, Maine, on August 25. The list of confirmed inductees reads like a veritable who&apos;s who of bodybuilding superstars and fitness icons. 14 former champions will be honored along with awards given in the memory of immortals Steve Reeves, John Grimek and Charles Atlas. Steve Michalik has revolutionized the way bodybuilders train with his "Intensity or Insanity" bodybuilding system. Known as one if the top experts on physical fitness in the world and as an anti-drug campaigner, Steve, a triple-crown bodybuilding champion (Mr. Universe, USA and America) has known Dan Lurie since he was 10 and was regularly featured in Dan&apos;s magazines and many other bodybuilding publications worldwide. "To be inducted into the WBBG hall of fame is to receive the acknowledgment of the legitimacy of ones place in history. NO greater gift can one attain than the recognition of his fellow man for his humble attempts at immortality. I first became aware of Dan when my mother and I would watch him as a Sealtest strong man on TV show, "The Big Top". My next acquaintance was when I bought his 110lb barbell set and wall chart exercise system. I was around ten years old at the time. Somebody told me that Dan lived in North Woodmere, the next town over from me. I couldn&apos;t believe it! It took me a couple of years to get enough guts to go over his house and ring his doorbell, but I finally did it. To my amazement there was Dan, bigger than life, standing at the door. Dan was everything I dreamed he&apos;d be and more. He was muscular and powerful, and also kind and understanding. Dan didn&apos;t hesitate to invite me in. I told him of my ambition to become a bodybuilding champion and Dan was very encouraging. From that day forth, I always knew I&apos;d have a friend in Dan Lurie." A close friend of Steve Michalik and former bodybuilding student of Mr. "Intensity or insanity", John forged his massive, proportional physique through years of training with the type of 60-plus sets routines that would leave mere mortals running for the nearest gym door. John, who also got his start with a Dan Lurie barbell, is now a respected trainer who is credited with helping thousands to achieve their health and fitness goals over his 35-year career in the fitness industry. As a 1988 Mr. USA and expert trainer - who has won Florida&apos;s trainer of the year for the past nine years - John is worthy of the highest recognition as one who is at the cutting edge within the personal training industry. It is a great honor and a very humbling experience since I am being placed in a class of people that I idolized and was inspired by. Dan Lurie was the first to introduce me to my first bodybuilding magazine, barbell set and contest. (WBBG events in New York) and Dave Draper, Arnold, Larry Scott, Samir Bannout, Steve Reeves and Warren Fredericks were Champions that I respected, admired and was inspired by. Jack LaLanne was and is an incredible icon of Fitness and Health and a legend that has helped millions of people. I have admired his passion and his life&apos;s work to help others. Last and most important are the two greatest mentors and individuals that have ever stepped into my life: Mr. America Steve Michalik and Bodybuilding and Nutrition Genius, Bob Gruskin. Steve and Bob have been there for me since I was 16 years old and they have trained me, educated me, inspired me, held me accountable and motivated me. Without Steve Michalik and Bob Gruskin, none of this would have been possible. They have imbued in me the essence of Success. Our friendships have lasted almost 35 years and will go on into eternity. "My life&apos;s work has been to motivate and inspire others to reach their fitness goals. I have managed over 250 personal trainers in the past five years and I currently manage a team of 55 Ultra Fit Personal Trainers. This honor will give me another platform to reach more people and help more people realize their goals and allow us to help them achieve those goals. "A champion is someone that sets a goal and goes after it with relentless pursuit until they reach their goal. A legend is someone that utilizes their achievements to inspire and help others attain their individual goals. "My goal now is to take the Champions that work with me (my trainers) and allow them to become legends by helping others be the best that they can be! "I am very thankful that I have been chosen to be in the Fitness and Sports Hall of Fame. Once again, it is a great honor." It was in the Air Force that Paul received formal bodybuilding training under Dr. Ivan Kusinitz, a pioneer in Sports Medicine, before beginning a long-lasting career in the health and fitness industry with his popular New York City health center. Sgt. Bernstein received numerous accommodations as a veteran of the Korean War, which included the National Defense Medal and Good Conduct Medal. He was honorably discharged from his military duties in 1956. Paul opened his first health club, the World Wide Health Spa in 1957, in Beaumont Texas. He was one of the first to conceptualize what are now known as "Health Clubs". His flagship spa ultimately became one of more than 70 throughout twelve states, one of the largest health club chains in the country. Paul developed his physique to such a degree that he was bestowed with the title Mr. Physical Fitness USA. He remains in tremendous shape at age 74. "Bodybuilding has been my life since I was 13 years old. It helped me to get an education beginning with becoming a physical therapist and sports medicine specialist in the Air Force. Body Building blessed me with the ability to found and own a national business that took care of my family and gave me the opportunity to change people&apos;s lives for the better. "Through Body Building I have had the opportunity to meet people I have admired all my life. I owe a debt of gratitude to the sport of Body Building for my good health and the fact that I still have many good years to be active and an asset; not a liability at age 74. "I Owe A Debt Of Gratitude To The Sport Of Body Building." "Although I am flattered, I am humbled by this honor that recognizes the things I have done through and for Body Building. Aging is inevitable; growing old is optional." Anibal Lopez won his first bodybuilding show, the 1965 AAU Mr. Wagner, and since then has racked up the victories. In 1969 he was crowned Mr. New York State and in 71 he took the Mr. East Coast title. However, it was in 1978 that he would make his biggest impact: in this year, as a professional, he won both the WBBG Pro Mr. America and Pro Mr. World contests. Anibal is also a successful personal trainer who has appeared on numerous television shows. He has travelled the world giving exhibitions, often in his capacity as a man of God. As a devout Christian, Anibal spreads the good word whenever he can. "I feel honored to be counted among such great bodybuilders and to be inducted into the WBBG International Fitness Hall of Fame. "Once again the WBBG is giving me the opportunity to continue being recognized in the world of bodybuilding, just as it did when in 1978 I won the WBBG Pro-Mr. America and sent me to London to compete in the NABBA Mr. Universe. I thank Mr. Dan Lurie and the WBBG for the opportunity to be part of these honorable events." As a former Mr. Universe, Mr. USA and Mr. America, Bob Gajda has spent his life shaping his physique to perfection. Along with maintaining a muscular physique today, he is recognized as the founding father and leader in corrective therapeutic movement, a branch of treatment that focuses on balance, stability training, posture, coordination, range of motion, toning and strengthening of the body&apos;s core as well as the entire musculoskeletal system. Bob is also an author, consultant, inventor and wellness educator. "I feel great joy and honor to be inducted into the WBBG International Hall of Fame. The most exciting factor to me is that Dan Lurie, a legend in the industry, called personally to inform me of my induction. I look forward to meeting once again with the &apos;old&apos; Iron game friends. My special thanks to Randy Roach." A true bodybuilding icon, Sergio Oliva is famous for being the most genetically gifted bodybuilder of all time. 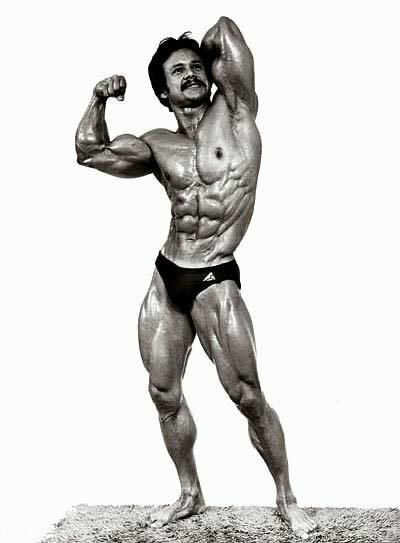 A three-time Mr. Olympia winner (in &apos;77, &apos;78 and &apos;79) and the first bodybuilder to combine massive size with enviable aesthetics, Sergio was known as the Myth because his shape and muscularity was unheard of before came on the scene to dominate the competition in the late 1960s and early 70s. Born in Habana, Cuba, Sergio became the county&apos;s number one weightlifting champion. In 1961, he was the favorite to win a Gold Medal in weightlifting at the Pan American games in Kingston, Jamaica. But after a heated exchange of words with the Cuban Leader, Fidel Castro, Sergio fell out of favor in his homeland. Risking his life, he escaped to the American Embassy while being followed by the Castro Secret Police and Jamaican Police. In America, after working 12 gruelling hours a day in a medal foundry, he found the will to work out for an additional three hours and to also study English in order to live the American Dream. That dream encouraged him to overcome many obstacles, especially during the turbulent times of the 60s when the Civil Rights Movement was at its peak. Despite all of this, Sergio somehow found the tenacity to become one of bodybuildings most enduring champions. High points in Sergio&apos;s career also include wins at the 1972 WBBG Mr. Galaxy and 75, 76 and 78 Mr. Olympus shows. "Health, fitness, strength, entrepreneur, and the name Dan Lurie are synonymous. A pioneer of the sport who continues contributing to the fitness world. A champion himself and Founder of the WBBG. A true icon." In fact, she was the first female bodybuilder to be featured on the cover of a muscle magazine - the December 1974 edition of Muscle Training Illustrated. A high point in her bodybuilding career was her inclusion on the American team to attend the NABBA universe in 1974. Since her competition days, Kellie has written extensively on bodybuilding, health and fitness (&apos;The Ultimate Woman&apos; 1981, first bodybuilding book with and by a female, Leitner Enterprises publisher), with many articles and six recent books to her credit. Today she still trains hard with weights and will soon display her body on website, Youtube. "Dan Lurie is a very fine person. I admire him greatly for his courage panache, show business savvy, business acumen, the love he has for his family, and his gigantic, good heart. I admire also his publicity skills; he had everyone beat in that area. 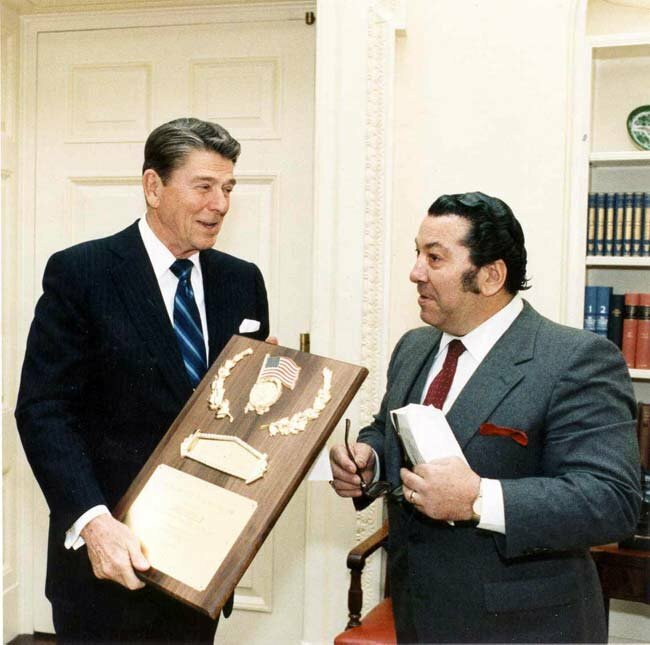 His involvement with celebrities like President Ronald Reagan speaks loudly. Dan has persevered and today he is as great as ever and re-building his bodybuilding empire. Look world, I&apos;m back, the WBBG is back, Dan Lurie is back, and we are making an impact. Life is good when finally, after many years, a simple thing happens, the honest to goodness facts are finally told, the truth is recognized." "Look World, I&apos;m back, The WBBG Is Back, Dan Lurie Is Back, And We Are Making An Impact." 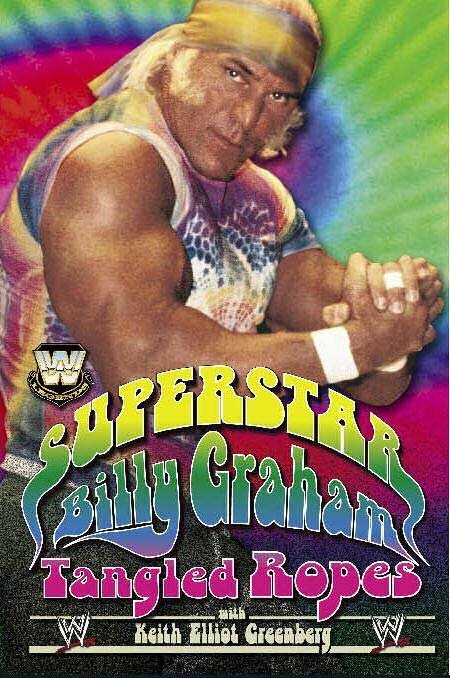 Widely regarded as the most influential wrestler in pro wrestling history, Superstar Billy Graham (Eldridge Wayne Coleman), a former WWE World Champion and Hall of Famer, is also noted as having been one the strongest athletes of his time (he placed seventh in the 1980 World&apos;s Strongest Man competition despite being injured in one of the events). 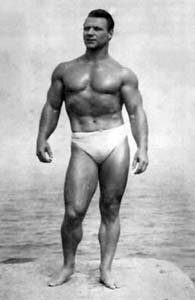 A bodybuilder before he became a wrestler, Superstar competed in the WBBG and was the first man to popularize muscular development within the wrestling arena. Before and after his retirement from the mat, many tried to emulate Graham&apos;s wrestling persona, style and charisma. None succeeded. He retired from wrestling in 1988. First African-American to win the IFBB Mr. America and the only man to have competed in the first three Mr. Olympia&apos;s (in &apos;65, &apos;65 and &apos;67), Harold Poole, a natural competitor throughout his career, is today, at age 63, training hard for a bodybuilding comeback. 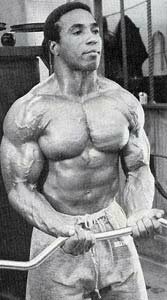 Harold is also known for being the youngest man ever, at age 21, to contest the Mr. Olympia (in 1965). A precocious athlete, Harold was an accomplished all-rounder before he began his bodybuilding career at age 16 where he won the Junior Mr. Indianapolis and placing 16th in the AAU Mr. America. 1983 Mr. Olympia and former IFBB World championships winner, Samir has had a long professional bodybuilding career, which has spanned 53 contests over 17 years. He is known for his balanced muscularity - he has no weak body parts - and marketable good looks. Known as the Black Prince, Robby Robinson, a Mr. America, Mr. World and Mr. Universe, is famous for his exceptional conditioning, phenomenal bicep peaks and complete muscular development. Career highlights include wins at the first Night of Champions in 1979 (now called the New York Pro) and the first Master&apos;s Olympia held in 1994. Having wrestled in every federation at one time or another since 1975 when he started out with the NWA (National Wrestling Alliance), Tony Atlas has proven himself to be one of the most prolific mat stars in wrestling history. The six foot two, 260 pound 2006 WWE Hall of Fame inductee, is also a respected personal trainer and competed as a bodybuilder at the 1979 WBBG Pro Mr. USA. As a bodybuilder Tony won the Mr. USA in 1980 and the Mr. Universe in 1985. Ranked number 171 of 500 top wrestlers by Pro Wrestling Illustrated - 2003. From Staten Island, New York, Leon began his bodybuilder career in 1966 placing second in the teenage short class at the Mr. Eastern America Championships. He achieved fourth place at the 1968 and 1971 WBBG Pro Mr. America contests with his dazzling muscularity, showings that helped him to become New York&apos;s bodybuilding pride. 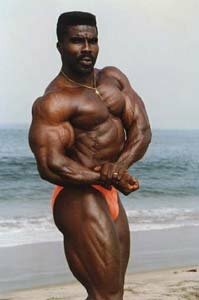 In total, Leon has competed as a bodybuilder for 40 years, remarkably competing every year other than &apos;76, &apos;77, &apos;82 and &apos;85. Being a major bodybuilding star in Staten Island in the 60s, it was only natural that Leon and Dan Lurie would cross paths. When Dan first met Leon, the Brown Bomber was a young man in his late teens and Dan instantly saw his potential. Leon eventually made his way into the WBBG fold and was regularly featured in Muscle Training Illustrated. Although he never won a major professional title, Leon had his share of high points: he narrowly lost the 1967 Eastern America to Frank Zane, beat two-time Mr. Olympia winner Franco Columbu for the most muscular and best back titles at the 1970 Mr. International, an achievement he would repeat against big Lou Ferrigno at the 1973 Nationals. Warren Frederick was known during his competition days for his balanced muscle mass and tremendous vascularity. 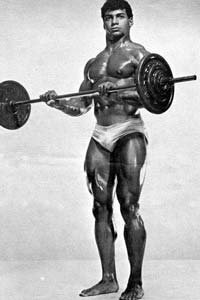 It is thought that, next to Sergio Oliva, Warren Frederick had the kind of huge build that for his era, captivated audiences. His arms and legs, in proportion to the rest of his body, were simply breathtaking and his posing was dynamic and powerful. Warren&apos;s lifetime career was with the US Army Special Forces. In the &apos;60s and &apos;70s he was a regular Muscle Training Illustrated star athlete, having featured on the cover of this magazine in 1968 and twice in &apos;74. 1974 was a big year for Warren as he won the WBBG Pro Mr. America and was at the very top of his game. He was also the only man ever to have won the WBBG Pro Mr. North America, which was held only once, in 1972. Warren retired from bodybuilding after placing 8th at the WABBA World Championships. Born in Glasgow, Montana on January 21, 1926, Steve Reeves would later claim his place as the epitome of physical perfection. 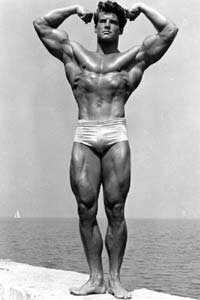 Early in his career Steve moved to California where he became one of the world&apos;s greatest bodybuilders despite competing for only five years - from 1946 to 1950. In Oakland, California, Steve trained at Yarick&apos;s Gym, a place known for its all-star cast of bodybuilding and weightlifting notables. Steve, at six foot one, 215 pounds (competition weight) of the most proportionate muscular physique seen anywhere at that time, was its top performer. As a bodybuilder, Steve would win the 1947 AAU Mr. America, 1948 Mr. World and 1950 NABBA Mr. Universe. As one of the top male actors of his time, having begun his film career in 1948, Steve gained screen immortality as the star of the late 1950s Hercules films. His acting career ended in 1968 with western, A Long Ride to Hell. Steve Reeves passed away on May of 2000 and will always be remembered as having one of the most aesthetically pleasing and ruggedly muscular physiques of the 20th century. The last two decades of Steve&apos;s life was spent in Valley Center, California, on a ranch he shared with his wife, Aline. In his later years, Steve maintained a weight-training schedule and stayed in good physical shape. Of Steve Reeves, Dan Lurie, who inducted Reeves into the WBBG Hall of Fame in 1973 and &apos;77, once said on an appearance on WOR-TV, New York City, "Steve Reeves is the greatest name in the history of bodybuilding, the greatest for the next 2000 years." Many would agree. 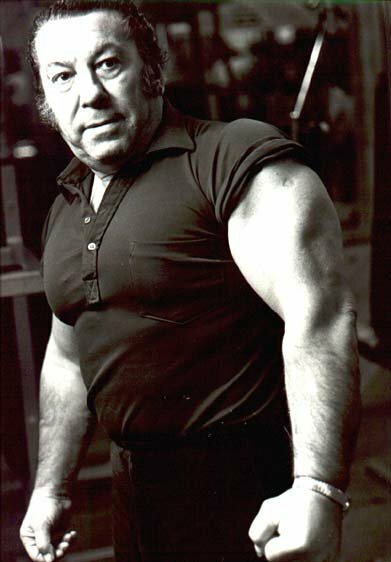 Born on June 17, Perth Amboy, New Jersey, John Grimek began training in the 1930s for weightlifting, then bodybuilding contests, eventually becoming a champion in both. As a York weightlifting great, John represented America at the 1936 Berlin Olympic games, after becoming the American heavyweight weightlifting champion the same year. A year prior he held the highest total of any on the York weightlifting team. At the time was known for his all-round great development, athleticism and phenomenal strength. 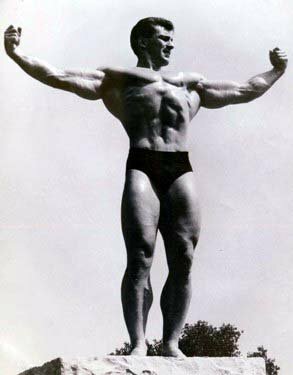 Such was John Grimek&apos;s dominance as a bodybuilder, having won both the 1940 and 41 Mr. America&apos;s, AAU officials decided to prohibit the winner of this contest from re-entering (a stipulation known as the "Grimek clause"). He remains the only man to have won two Mr. America titles. A standout moment in his bodybuilding career came when, at 38 years old, John defeated a much younger Steve Reeves to take the 1948 NABBA Mr. Universe title in London, England. The following year he would conclude his bodybuilding career by taking the Mr. USA title. John Grimek passed away on November 20th, 1998. In 1999 he was inducted into the IFBB Hall of Fame. Many feel John was the best all-round strength athlete and bodybuilder of his time, a perfect melding of muscularity and pure power. Born Angelino Siciliano on October 30, 1892, Charles Atlas is widely known for his pioneering work as an advocate for physical fitness. His marketing strategy for selling his dynamic tension bodybuilding courses, which featured the now famous pre-bodybuilding weakling having sand kicked in his face by the muscular bully comic strip, convinced thousands of young men to build their bodies to a more respectable level. Of course the skinny young man used Atlas&apos; methods to eventually outmuscle the bully. Atlas himself built a good physique for his day, good enough to win the title of, "The worlds most perfectly developed man" in 1922, a contest held in Madison Square Garden and promoted by Physical Culture Magazine publisher, Bernar MacFadden. From his days as owner of the world&apos;s most perfect physique though to his later years, Atlas continued to successfully market his training course, which worked on the system of dynamic tension, or of statically contracting the muscles against an object to achieve an isometric contraction. He lived the fitness lifestyle to the very end, dying at age 80 of a heart attack while partaking in his daily jog on the beach. It was discovered that his heart problem was hereditary. The name "Charles Atlas" will forever be synonymous with the bodybuilding and fitness industry and his legacy lives on in the millions who adhere to training for muscular development.